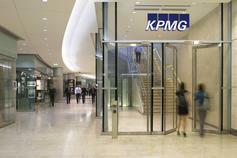 The KPMG network achieved strong growth and record revenues for FY14. The record high aggregated revenues of US$24.82 billion for the fiscal year ending 30 September 2014 represents a 6.3 percent increase in local currency terms over the previous year. The Americas delivered strong growth over the prior year, with revenues rising by 10.1 percent, driven by a 15.1 percent growth in Advisory revenues, an 8.0 percent increase in Tax and an 8.7 percent increase in Audit, all in local currency. Revenues from Europe, the Middle East and Africa (EMA) grew by 4.7 percent, with strong growth in Ireland, Spain, Switzerland and the UK, as many of the region’s leading economies returned to growth. In Asia Pacific, KPMG reported revenue growth of 3.8 percent, in local currency, reflecting a return to growth for some parts of the region. 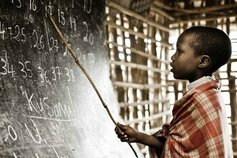 KPMG has a long-standing commitment to supporting clients in the world’s fastest-growing economies and this focus drove 17.8 percent annual growth in revenues in India, 11.1 percent in the Middle East, 10.5 percent in Africa and 7.3 percent in China. Audit performed strongly, with member firm revenues increasing 3.8 percent to US$10.46 billion, up from 1.2 percent growth in FY13. This growth was achieved against the backdrop of a global market for audit and assurance services, which has never been more competitive and challenging. We continue to see intense price pressure on audit engagements and the introduction of EU audit reforms is driving an unprecedented level of audit tenders. Tax revenues grew 6.1 percent to US$5.27 billion, up from 4.2 percent in FY13, driven by an increased demand for tax compliance and tax advisory services in the Americas, Asia Pacific and EMA. KPMG continued to lead the way in responding to the global debate on tax morality, KPMG’s publicly available Global Tax Principles, which are the foundation of expected standards and conduct for KPMG tax professionals to follow in their work for tax clients. Transactions & Restructuring, where improving demand from all three regions delivered growth of 10.8 percent. We maintained our focus on recruiting top talent in FY14, recruiting a record-high 54,000 graduates and experienced hires. KPMG’s global headcount grew by almost 7,000 to over 162,000 partners and staff, the highest ever across the network. With its strong focus on training and career development, KPMG remains a leading choice for graduate talent, and was once again voted in the top 10 of Universum's ‘World’s Most Attractive Employers to Work For’ poll of around 200,000 degree students. KPMG works closely with the International Integrated Reporting Council (IIRC) in its efforts to promote integrated reporting as an important step towards better business reporting to address the gap between reporting content and business value. Integrated reporting enables an organization to tell its value creation story by providing financial and non-financial information on its strategy, performance and governance, in its business and social context, in a way that highlights the interdependencies of the information. Integrated reporting seeks to reflect the broad and longer-term consequences of the decisions organizations make, based on a wide range of factors, to create and sustain value. It also enables an organization to communicate in a clear way how it is drawing on all of the resources it utilizes to generate value in the short, medium and long term, helping investors to manage risks and allocate resources most efficiently. KPMG is an active participant within the IIRC, with involvement by KPMG partners and employees across the globe.